All information on this eFlyer is believed to be reliable as of Sept 25th, 2013, but not guaranteed and subject to change. Buyer to verify all information. 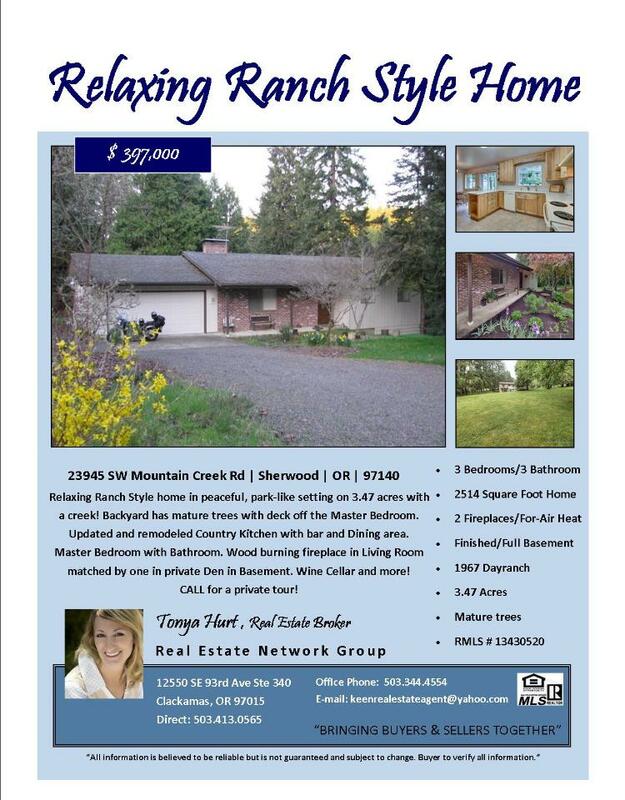 3 Bedroom, 3 Bath, 2514 SF Relaxing Two Level Ranch Style Home with Full Basement on 3.47 Acres. All information on this eFlyer is believed to be reliable, but not guaranteed and subject to change.